One of the highly anticipated smartphones this year is the OnePlus 6T due to its top of the line specs and features yet affordable price tag. This time around, new reports suggest that it could come next month. In addition to that, it won’t feature a triple rear camera setup. Initially, the OnePlus 6T was rumored to come at November. Why? Well, that’s because the OnePlus 5T was released on November of 2017. But just recently, the company has officially posted a teaser for the upcoming phone at the Amazon India website with the caption “Coming Soon”. With this, reports are now suggesting that the said device could be launched very soon – most likely next month. In fact, to support this claim, even e-commerce site GizTop also suggests that it could come next month. At the site, it mentions that the said device will not be available until October 16, 2018, along with a price tag of $569. It Won’t Feature A Triple Camera Module? 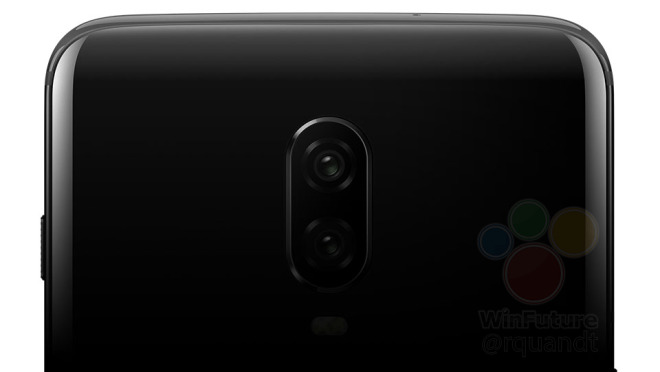 For quite some time now, we’ve heard that the OnePlus 6T will be featuring a triple rear camera setup. In fact, initial reports were saying that it will be similar to the one found on the Huawei P20, and then was later compared it to the Oppo R17 Pro which features a primary 20MP unit, a second 12MP telephoto or low-light sensor, and a third TOF 3D camera. However, recent reports are now suggesting a different story. This time around, they’re saying that the upcoming mobile device will instead feature a dual rear camera setup similar to the OnePlus 6. Check out this comparison photo which was featured at a German news publishing site Winfuture. As you can see, it features the rear design of the OnePlus 6 (left side) and OnePlus 6T (right side). Both smartphones sport a vertical dual-camera module and a LED flash. The only difference is the absence of the in-screen fingerprint scanner. We do know that the upcoming phone will ditch the 3.5mm headphone jack. Why? Well, this has been confirmed by co-founder Carl Pei during an interview with Tech Radar. In doing so, it will free up some space on the device, allowing it to be packed with a larger battery, thus giving it a longer battery life. In fact, the company has announced its Type-C Bullets earphones which costs $19.99. It comes with a built-in Cirrus Logic DAC, making it compatible with most USB-C devices. In addition to that, it also sports a built-in microphone and remote control. Another reported feature is that OnePlus 6T will sport a waterdrop notch design. Well, with the OnePlus 6, despite being such an awesome device, one of the things that fans didn’t like about it was its notch design. And lastly, another thing that it will feature an in-display fingerprint sensor. In fact, one report claims that this has been pretty much confirmed. It would be kind of weird to have a fingerprint scanner on the front and back, right? What do you think? Which of these rumors are true? Do tell us in the comment section below.